I just inherited a pot of gold and now I'm rich I'm rich! I can't wait to travel around the world with my newfound wealth! Yeah right! If only I had all this gold in my possession right now. The things I would do with my stash keeps me going; constantly waiting and dreaming of the day I become a gold millionaire! Who doesn't like gold for what's not to like? It's precious, priceless and make for a wonderful investment and jewelry keepsake. GoldCoinsGain.com is an informative and comprehensive online resource for gold coin and gold bullion acquisition. Here gold investors, collectors or fans will enjoy easy access to any information on practically every gold topic you might want to know. For example, did you know that gold was perceived beneficial for the health in medieval times? Apparently something so rare and beautiful as gold could not be seen as anything but healthy. Certain gold salts also contain anti-inflammatory properties and are used as pharmaceuticals in treating arthritis and other conditions. So you can see why gold is a highly sought-after precious metal from back then until today. So if you're an ardent gold enthusiast, drop by GoldCoinsGain to satisf y all your enquiry and questions on gold. 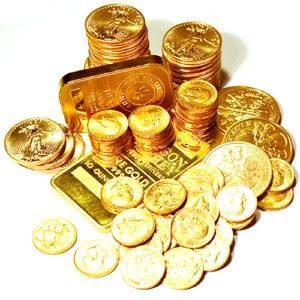 Get the best tips on how to buy gold, buy gold coin, buy bullion and more! i want to be rich too!!! lol! hehe! sure Mariuca! ;) hope all your wishes come true too!!!!! Morning Bill! I’m watching criminal minds now instead of dropping ec ha ha! I forgot what happened to King Midas in the end Bill he he…. Hi-5 Ayie, hope we run into wealth soon he he! I casino and 2 not casino Mon, but the casino one is the big one he he! woot big casino!! ;) btw u finished 900 edi? No la I dropped less than 100 for WOAFS, then I just only finished dropping on important blogs for MPG now dropping on important blogs for meows! U??? i m watching dvd while dropping hahahh...abt 30 more to go! Recent blog:=- Don't Let Our Independence Be Robbed! who doesn't wan to be rich?? if i were rich , I would certainly be traveling all over the world. i would be horribly obnoxious. Hey Mon! How’s ur weekend coming along? Lazing around now Mon….I mean while dropping la!